Dr John Omagino, the Executive Director of Uganda Heart Institute speaking on Friday. Inadequate financial resources and limited space to accommodate patients suffering from cardiac related diseases is depriving up to 7,000 children with heart diseases, of treatment every year, according to the Uganda Heart Institute. The Heart Institute at Mulago Hospital which was allocated Shs 19 billion this financial year says that the Shs 4.7 billion which finances its operations is not adequate enough to cater for the massive need for treatment of heart diseases. 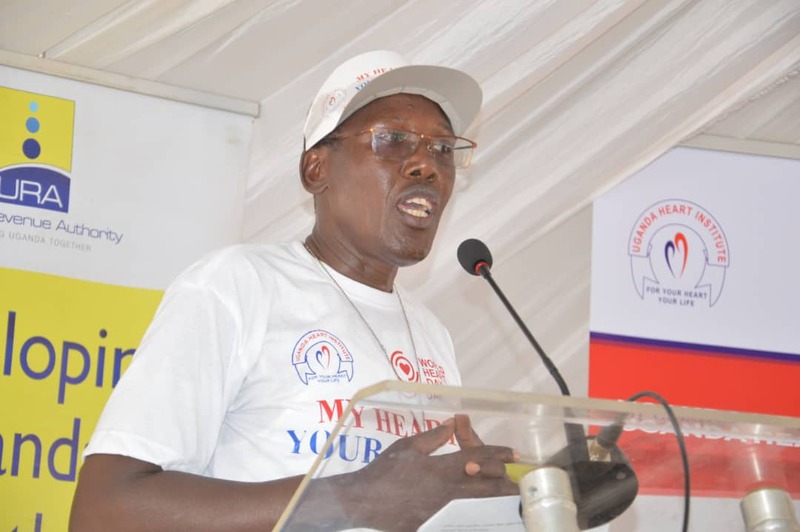 This was revealed by Dr John Omagino, the Executive Director of Uganda Heart Institute while speaking at the event to mark the World Heart Day. 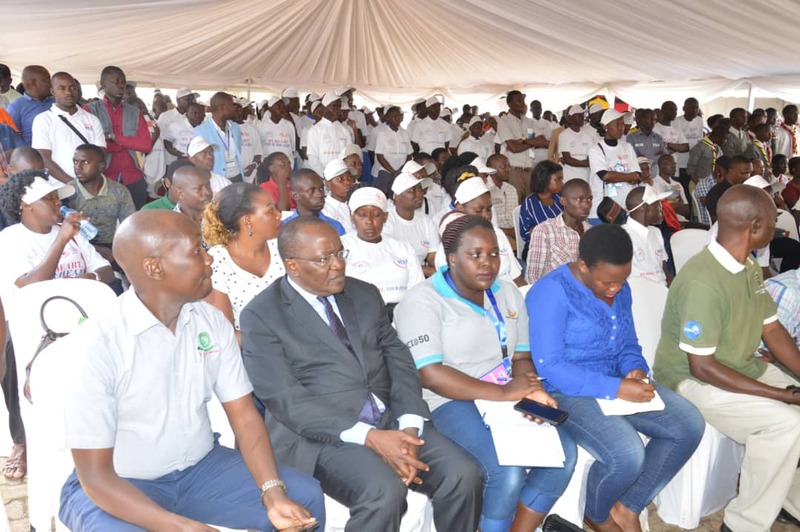 The day was commemorated Friday at Kololo Independence Grounds on the final day of the Tax Payers’ Appreciation Week by Uganda Revenue Authority. During the three days various government Ministries, Agencies and Departments have accounted to Ugandans on how the public resources have been utilized. Dr Omagino told the press that the Heart Institute requires about Shs 19 billion from the current Shs 4.7 billion to run its operations and serve the patients effectively. The facility at Mulago hospital, with the current resources, can only treat 300 people out of the 1,000 that require the service annually. In addition, Dr Omagino said that a sum of USD 70 million (Shs 266 billion) is needed to establish a Stand Alone Home with a capacity that can accommodate children and adults suffering from cardiac related diseases. With such a facility in place, the Institute will also boost its research capabilities but also raise its Non Tax Revenue, he said. 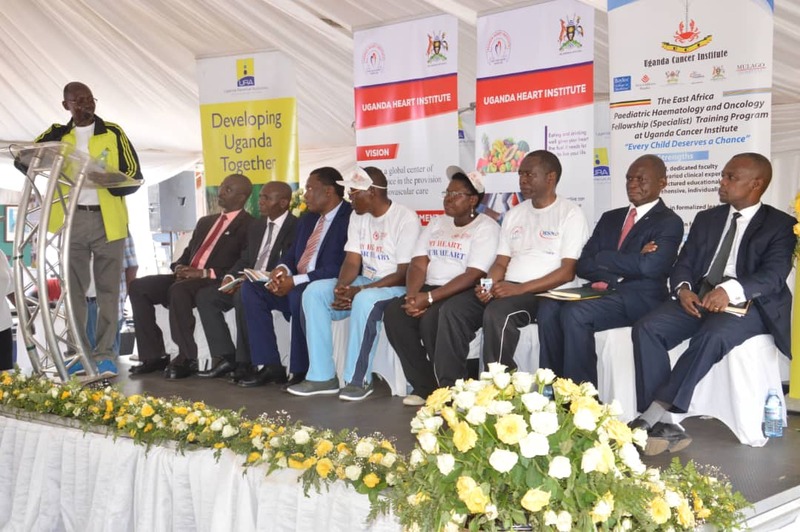 A recent survey on the burden of Non Communicable Diseases (NCDs) established that 9% of Ugandans have suffered heart attack, stroke or chest pain due to heart diseases. Majority of these are women aged between 50 to 69. It is estimated that 1% of the 1.5 million children born in Ugandan annually suffer a heart defect. This adds up to 16,000 babies who require a diagnosis out of which 8,000 require an operation. “The facility we have can only handle 1,000. Meaning 7,000 babies are left without surgery. As a nation, that is the gap we need to address,” he said. He noted that the Uganda Heart Institute currently has the capacity (both technology and human resource) to ably treat 85% of the heart diseases in children and 90% in adults. The exceptional cases are those that are complex in nature (including heart transplants) or those that need to be treated in cases ore require admission in the ICU. Uganda has since made a major breakthrough by providing electrophysiology (using radio frequency waves) assessment which is the advanced method of treatment for heart diseases world over. This technology now completes the full range of cardiac evaluation in Uganda. “Twenty years ago, there was nothing to talk about. All patients had to be referred abroad for diagnosis and management. Today, the Heart Institute has full capacity to diagnose all the heart problems in the country”. He said that with support from government, the country can turn around the trend of medical tourism from Uganda to foreign countries. Uganda loses about USD 20 million (Shs 76.2 billion) annually to medical tourism abroad specifically for heart related diseases and USD 70 million (Shs 266 billion) for medical treatment in general. While a heart surgery procedure may cost about Shs 76 million for abroad, Dr Omagino says that at the Uganda Heart Institute, the cost comes down to only a quarter of the figure (about Shs 19 million for a surgery). “All that the Heart Institute is crying for and why some patients are filtering through (to go abroad) is that we need more space – ICU beds and operational space, plus an operation budget,” he said. 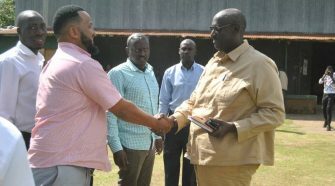 Regarding the personnel, he said that numerous specialists in heart diseases have been churned out but that this achievement must be supplemented with the intervention in funding and space. While significant progress has been achieved in cardiovascular disease treatment in Uganda, the bulk of these services are still concentrated in Kampala. 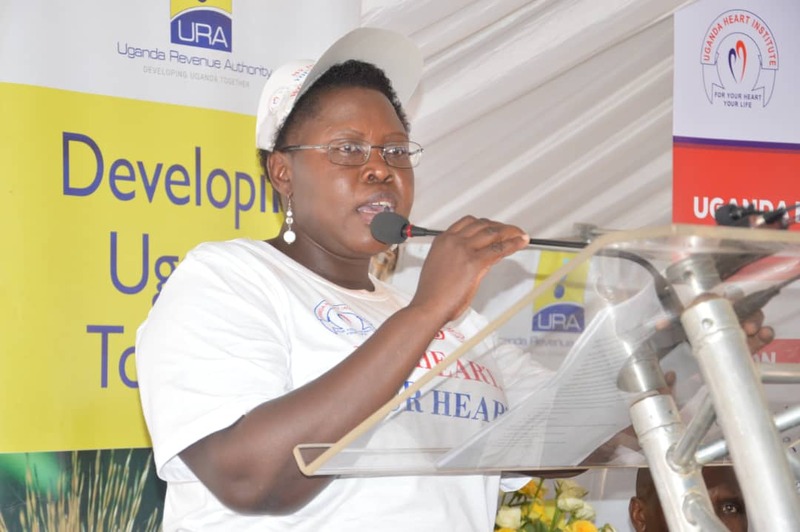 But Dr Omagino revealed that the Uganda Heart Institute at Mulago has been making weekly outreaches in the regional referral hospitals across the country to extend diagnosis as well as treatment to the rural population. There are also plans to establish permanent regional cardiac facilities in the 13 regional referral hospitals. 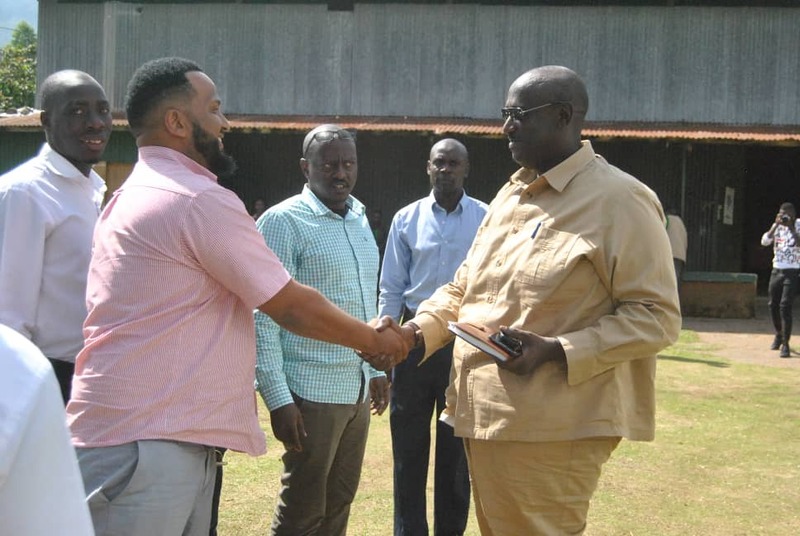 In line with this plan, according to Dr Omagino, four districts (Gulu, Kabarole, Arua and Jinja) have already availed the land for construction, on request of Mulago. During Friday’s commemoration of the World Heart Day, emphasis was placed on the need for regular physical activity which is one way to prevent heart diseases. 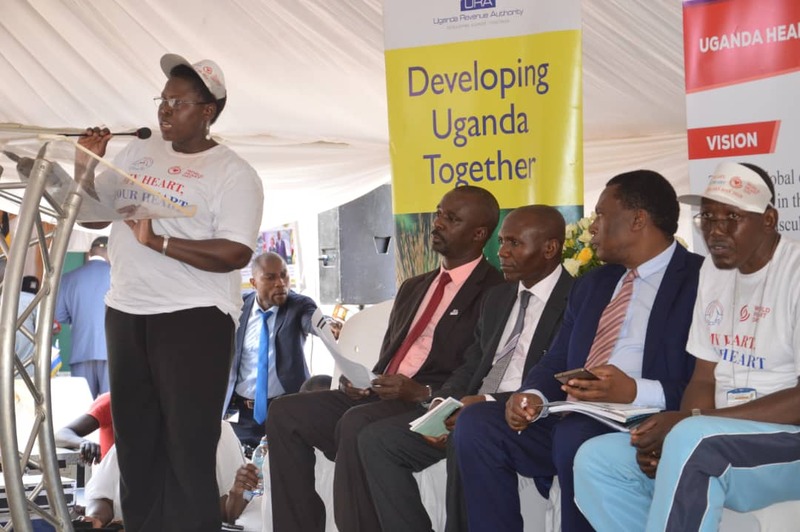 The State Minister for Primary Healthcare, Dr Joyce Moriku appealed to Ugandans to desist from alcohol consumption and smoking but also to engage in physical exercises and to eat fruits.